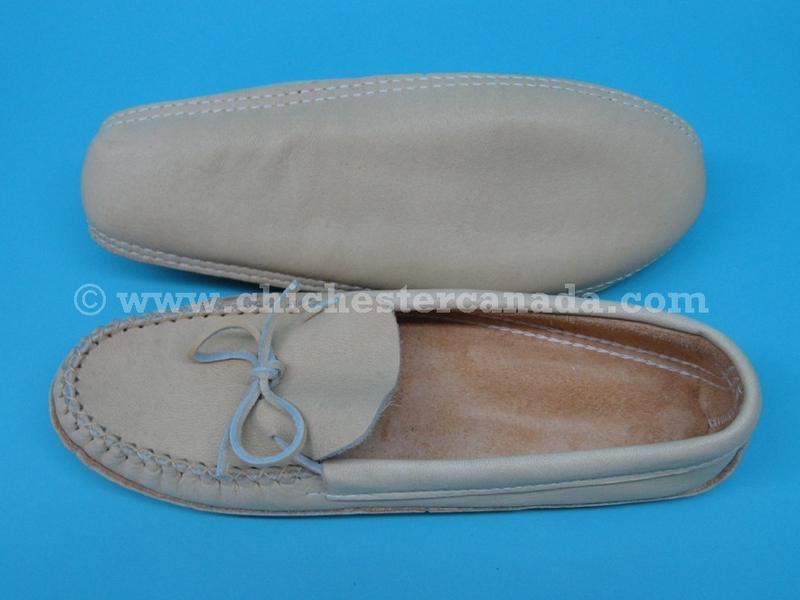 These moccasins are made by Native American artisans from the Huron Nation on the reservation near Quebec City in Canada. The adult moose hide moccasins have a padded insole and come in a nicely decorated shoebox. 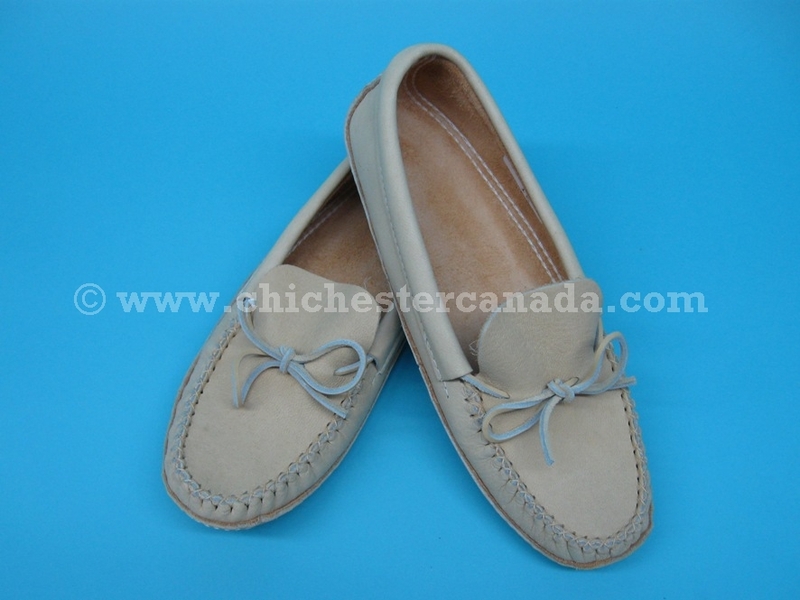 They are double-soled and very comfortable. Moccasins come in Ladies' sizes 4-10 and Men's sizes 7-15. 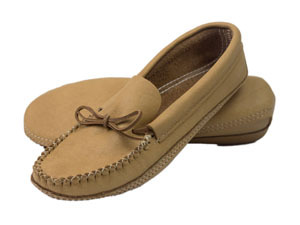 Moccasins come in full sizes only. If you wear a half size, order the next size down as the leather will stretch over time. Also, the moccasins tend to fit a little bit big.